Dubai, UAE, 17 March 2019: Leading retail destination, Dubai Festival City Mall, invites shoppers to celebrate the leading women in their life this Mother's Day, where they have something special for every mum. From exclusive products to extraordinary dining experiences – there is a treat in store for every mum. Shoppers can also enjoy over 110 exclusive retail and dining offers at the mall, if they purchase a Festival City Gift Card at the customer service desk, located ground level next to Zara and IKEA. Whether shoppers would like to purchase this as a gift for their mum or use it towards buying that special surprise – this is the perfect way to take advantage of some fantastic offers. Here are Dubai Festival City Mall's top picks to celebrate any mum in style this month. 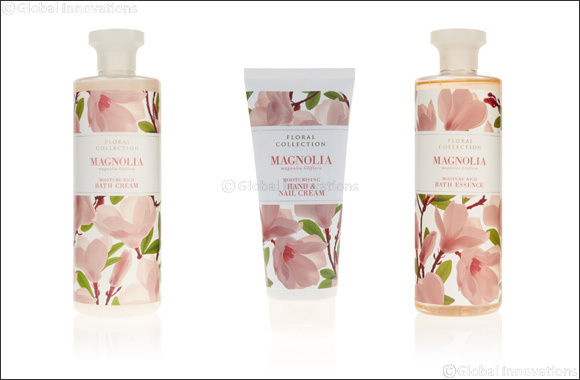 Shoppers can treat their mum this Mother’s Day with the Marks & Spencer Floral Collection; a glorious celebration of quintessentially English country garden flowers, which captures the essence of popular fragrances in its bath and body range. Each range works to keep skin cleansed, soft and delicately fragranced and with traditional scents such as calming lavender, classic rose and the new sweet Freesia fragrance to choose from, any mum will be left feeling truly loved and pampered this Mother’s Day. From hand and body lotions, to bath cream and soaps, Marks & Spencer has its biggest bath and body Floral Collection for Mother’s Day yet. In addition, spend AED 350 and enjoy AED 50 off using the Festival City Gift Card. Mums this month can enjoy a selection of treatments at Maison Lutétia Couture Aesthetic Medicine Clinic. From non-invasive, aesthetic treatments to cutting-edge innovation in graceful ageing and tailor-made treatments for their esteemed patients; Lutétia is redefining beauty by keeping it 'au naturel'. Shoppers with a mall gift card can enjoy 5% off all services. For Mother’s who never miss a trick, why not spoil them this month at the biggest department store in the UAE, Robinsons. Known for its fashion collections straight off the runway and its beautiful selection of homeware, Robinsons also offers a variety of luxury beauty brands, including Tom Ford, Lancôme and Estée Lauder. From signature scents to this seasons must-have beauty products – Robinsons will ensure every mum is left feeling truly inspired. Visitors who have a mall gift card and spend over AED 1,000, will receive a complimentary customisation service, adding that extra special touch to any gift. As Mother’s Day is one of the busiest days for dining in the calendar, shoppers should look ahead and book one of the amazing restaurants available at Dubai Festival City Mall, including Peppermill, offering mouth-watering Indian cuisine. With inventive recipes and alluring flavours to stimulate the palate and cater to the senses, Peppermill will offer the ultimate lunch or dinner that any mum would be impressed with this Mother’s Day. Shoppers dining with a gift card, can enjoy buy one get one free on selected main courses. For shoppers looking for something alternative, can dine at a range of other eateries, including Cheesecake Factory, Eataly, Turkish Village and Al Fanar. Shoppers can offer their mum a one-of-a-kind experience with the iconic IMAGINE show this Mother’s Day, a two-time record-breaking free attraction. Upon entering Festival Bay, shoppers will be transported to a pirate’s haven, where they will learn the tale of pearl diver Ameer, who fights pirates in the sea to rescue his beloved Ayesha. The mesmerising story is told through lasers, fire, water and much more as visitors watch all the action unfold through the largest projection in the world. Shoppers can enjoy the show from Festival Bay, or from the dining table of one of the breath-taking waterfront restaurants.